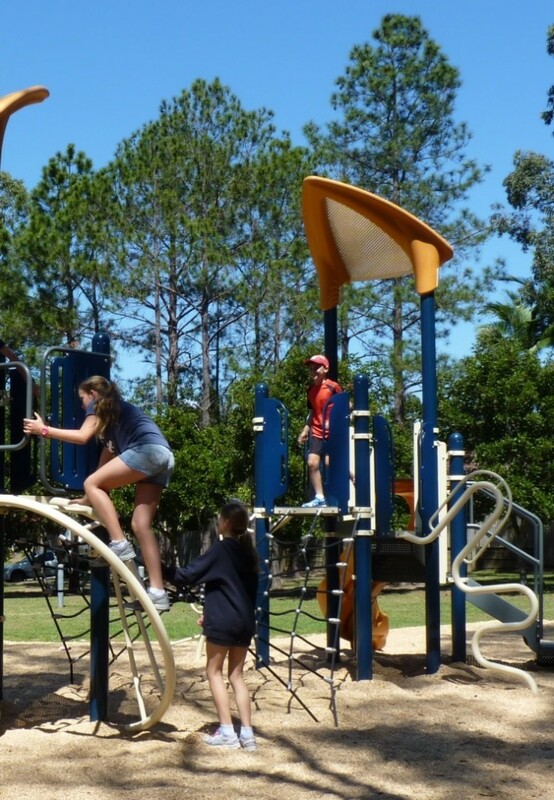 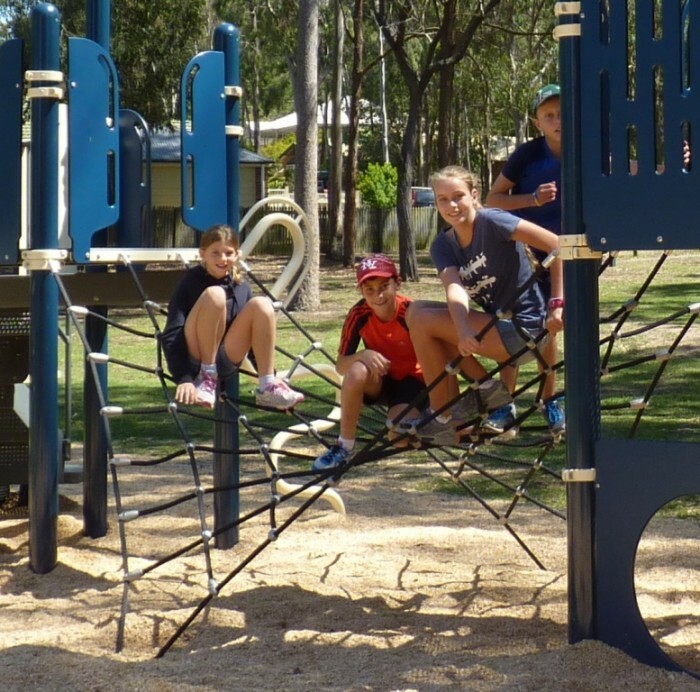 Council approached us to deliver a playground that would not only be visually stimulating, but would promote pride and ownership from the residents and attract them back into the parklands space. 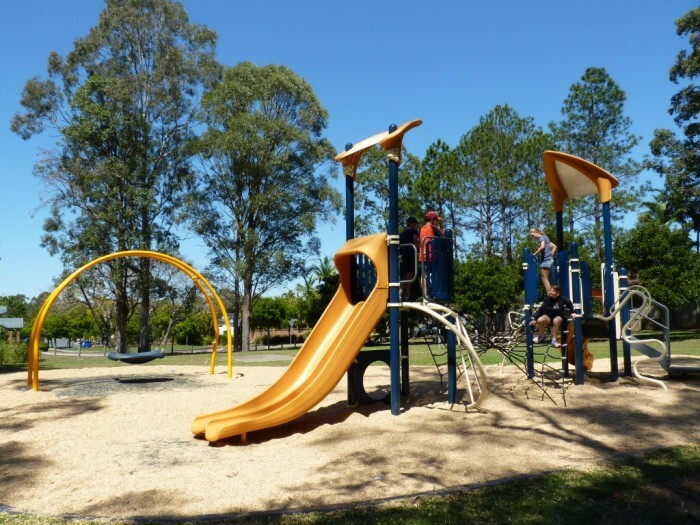 With some tight time frames, our construction delivery consistency and in house construction team’s reputation stood us in great stead as first choice to be able to meet these expectations. 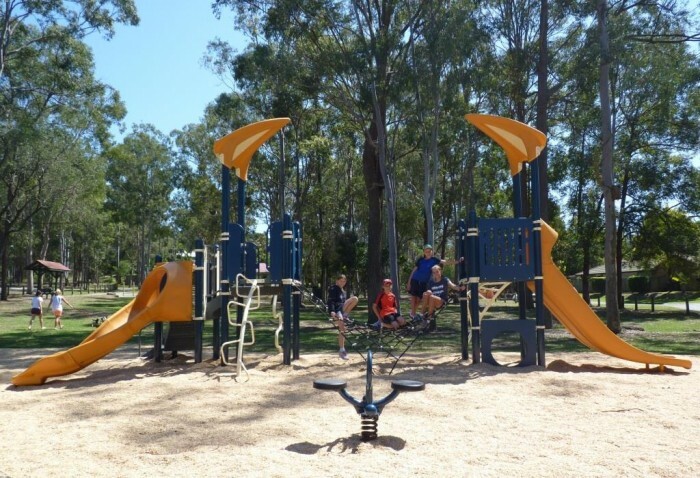 With some favoured products in mind from the outset, stunning colours were selected and the Councillor was thrilled to press the button on this new park for the Forest Lake residents. 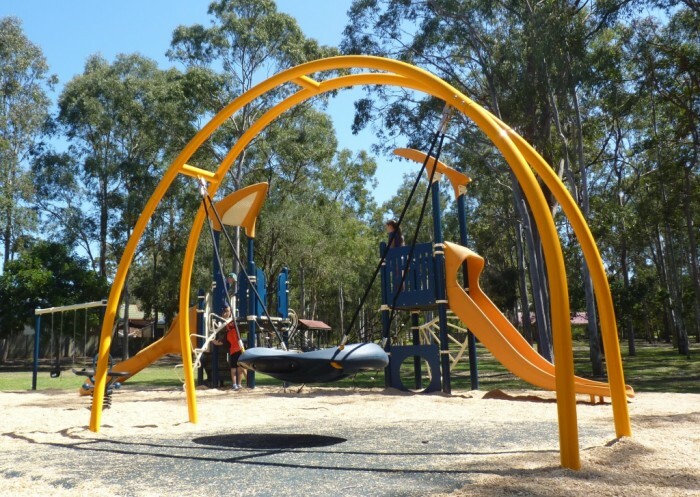 With the Tangerine colour adding POP, plenty of swinging, some fresh new net climbing and a single and double slide, this park took shape in no time. 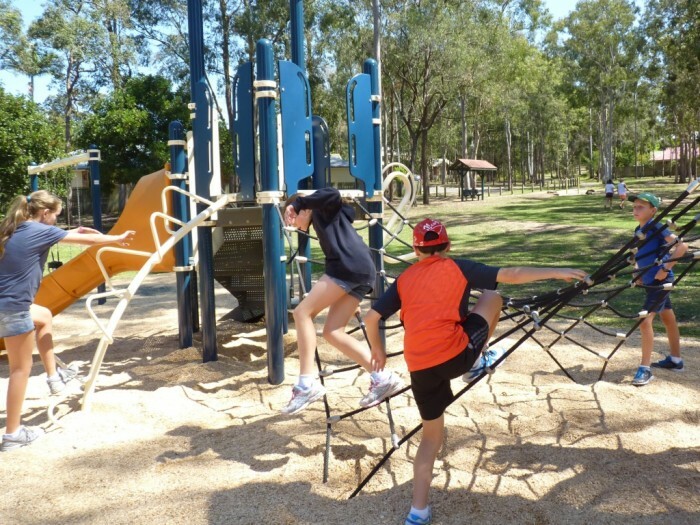 Varied challenge is offered for both junior and senior players with climbing, sliding and interactive play. 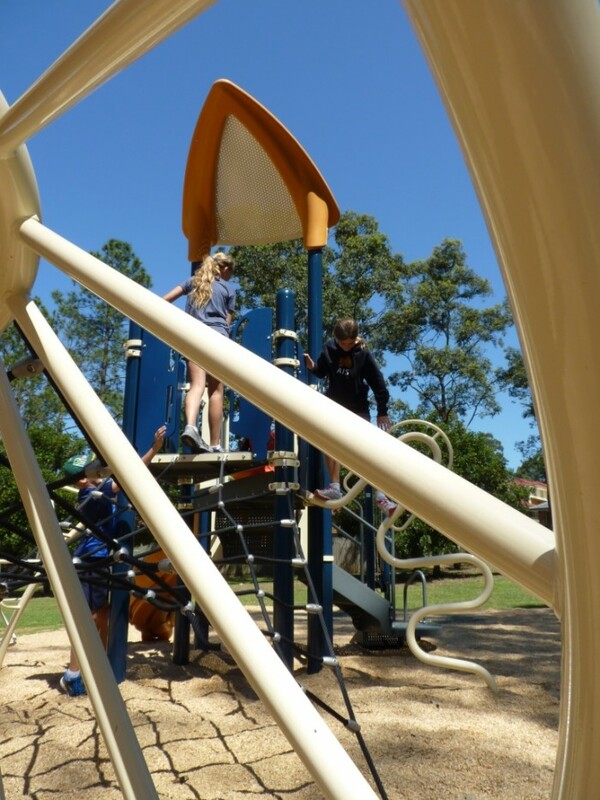 A multi-user accessible Oodle Swing allows children to hang out and swing together, and the double bobble rider provides endless fun and vestibular stimulation. 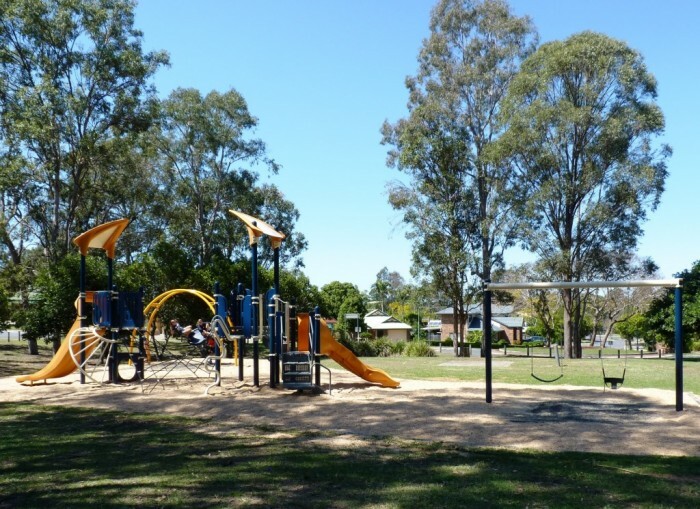 And being set beautifully amongst the existing trees, the playground receives plenty of natural shade – encouraging children to stay and enjoy the space longer. 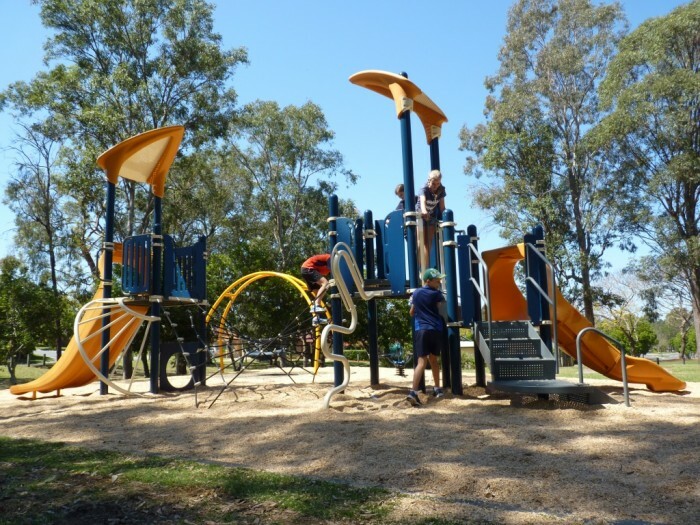 The result is a spectacular playground that jumps out to greet you as you drive down the street, destined for many many years of happy playing – a place to hang out and enjoy getting back in touch with the neighbourhood again. 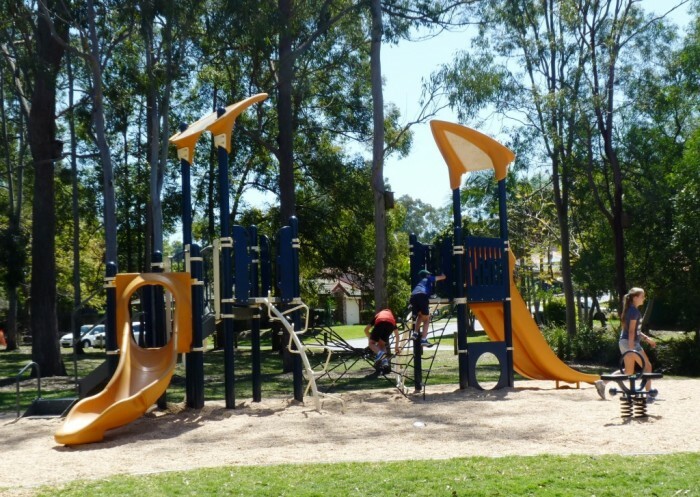 Congratulations to Brisbane City Council for another truly engaging park!